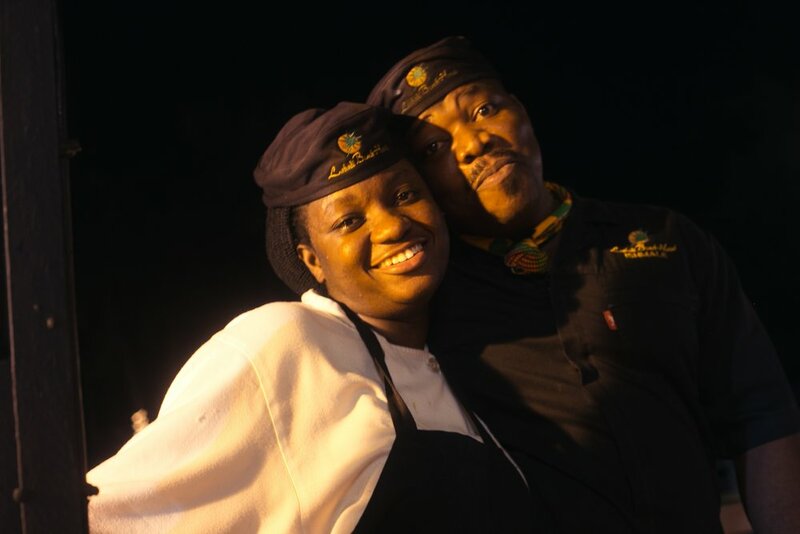 Friday night in Accra can either mean 2 hours trying to beat traffic home and getting home exhausted or a well-spent night in the company of mouth-watering flavourful grills and harmonious live band music at Labadi Beach Hotel to get you ready for the weekend. Aptly named “Rhythm & Grills”, the award-winning five-star hotel held the first event last night to an exuberant audience who danced to classic hi-life music from the Performers Band. The warm sea breeze from Labadi Beach lazily hung in the air as we queued up at the grill station set up on the Terrace bar overlooking the Gulf of Guinea ocean. It was quite fascinating watching the chef’s deftly slicing the grilled chicken and pork meats off the skewer unto the warm dinner plates. I was already salivating 😋💦. I simply love grilled meats and I am always drawn to the smell of searing meat. I chose a mixed plate to have a full taste experience. Sweet chilli lamb, with grilled chicken and pork, roasted vegetables and a side of roasted potatoes. Simple flavours not overly spicy or tongue-burning. Just right for great conversations with friends. I was sated and comfortably in my happy place. The service as usual was friendly and welcoming. The Rhythm & Grills Night at Labadi Beach Hotel is set to be a top Friday night destination for the young at heart and millennials over the city. Definitely worth looking forward to every Friday night! Oct 20 How I Found Attieke In The Heart of Osu.